For UFC fighters, becoming ranked is a precarious and often ambiguous development. Since the UFC introduced rankings in 2013 as a part of the television deal with Fox, it’s added another element to the sport for fans to debate about, but it’s also had a different effect. Fighters are now more apt to be protective of their spots on the list and selective about who they fight. And as we head into 2018, expect more fighters to do so. If you’re looking for an example of how dangerous it can be to take on an unranked opponent, look to Donald Cerrone and Ricardo Lamas. Both Cerrone and Lamas were consistently ranked near the top of their respective divisions (two in the case of Cerrone) but they could never find a way to claim a title. However, holding a top spot in the rankings kept them on the short list of title challengers if a last minute opportunity presented itself. That all came crashing to an end in 2017 when both men faced dangerous but unknown opponents. 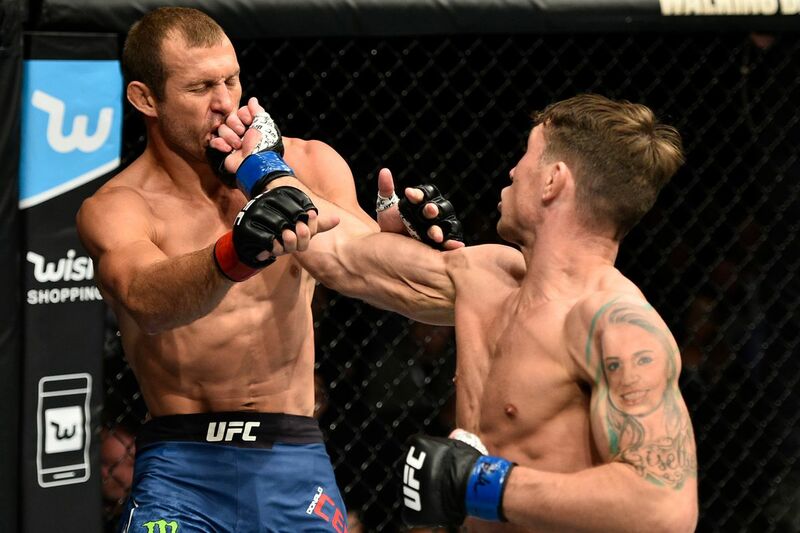 First there was Cerrone, who stepped into the Octagon against Darren Till at UFC Fight Night 118. Till stopped Cerrone in the first round of their bout, and was clearly controlling much of the action up until that point. 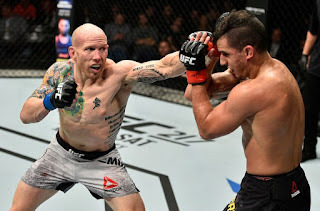 Cerrone went from losing a tough split decision to former UFC Welterweight Champion Robbie Lawler to getting stopped by an unranked fighter a few months later. After that defeat, Cerrone slipped to the tenth contender's slot in the welterweight division, while Till is now ranked number seven. Then there’s Lamas. Due to the Max Holloway–Frankie Edgar–Jose Aldo switch at UFC 218, Lamas was left without an opponent at UFC on Fox 26. In stepped the widely unknown Josh Emmett. Even though Emmett had a 3-1 resume in the UFC, he wasn’t on the radar in any fashion within the 145-pound weight class. Emmett missed weight and Lamas still agreed to the bout, only to be knocked cold in the first round. Lamas has slipped to the number six position in the rankings, while Emmett is now listed at number five. Now this leaves both Till and Emmett looking for big opportunities that will push them into the title picture. Till attempted to get himself involved with former title challenger Stephen Thompson, but Thompson’s father shot down that idea. 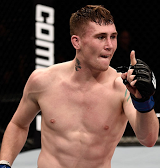 “Wonderboy” is clearly looking for a way to get back into the title picture and taking a fight against a dangerous fighter ranked below him is out of the question. Former UFC Lightweight Champion Eddie Alvarez pulled the same move last week when he balked at the idea of fighting Dustin Poirier –- currently ranked number six at 155 -- even though Alvarez and Poirier had an exciting battle before it was stopped via no contest. Poirier is yet another fighter that has the potential to make a run toward a title shot, but cannot find a higher ranked opponent willing to face him. 2018 is going to be an interesting year in matchmaking for the UFC as it tries to work though this issue. Fighters are doing all they can to hold onto their rankings and titles to extend their opportunities to make as much money as they can. This creates a bit of a logjam, as the younger, newer names will struggle to break through to the upper echelon of their respective weight classes. It’s understandable that fighters do not want to take the risk -- Lamas and Cerrone are exhibits A and B as to why not to -- but there’s a reason why these types of fights must be made. If the UFC is going to avoid the issues created by of booking arbitrary bouts based on name value, something must be done about fighters avoiding dangerous opponents ranked below them.